These chocolates are unlike any other. They bring you the intense joy of delicious chocolate and they also help you to find balance and happiness. In order to positively boost your chakras and help you feel great, we added drops of light frequencies. The result? 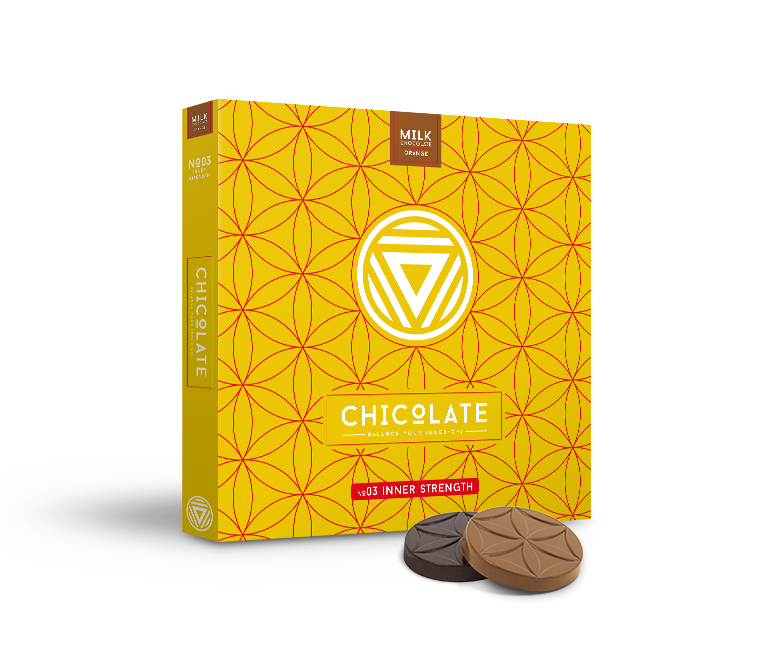 Down-to-earth chocolate with a touch of light, helping you to energize your inner self, bite by bite! Chicolate is prepared the artisanal way by experts. It is made from delicious, ethically sourced Belgian Chocolate. 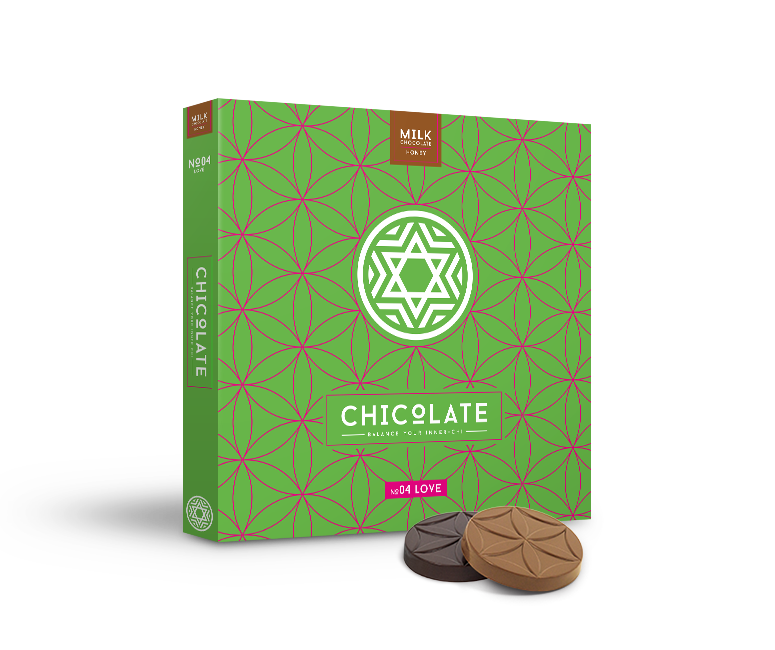 We use only UTZ certified chocolate. It is guaranteed to be the finest quality, sourced from farmers who care about people and planet. Chakras are the energy centres of your body. There are seven chakras and together, they ensure good inner balance. Each chakra influences a specific bodily function and emotion. How do you choose the right Chicolate? Chicolate is available in 14 different flavours for the seven chakras. Via chakra’s you can discover which chakra you should bring you into balance. Choose the appropriate Chicolate in milk or dark chocolate. Our advice: enjoy a Chicolate every day! Also nice to give as a present with a beautiful message.